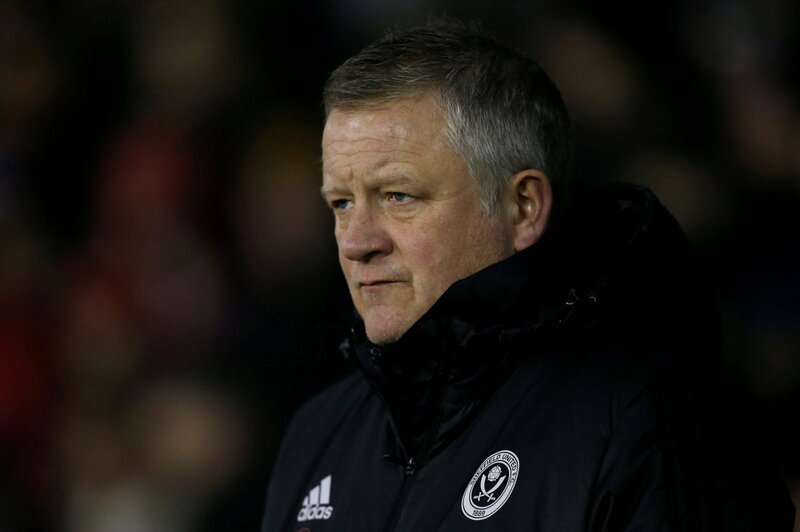 Sheffield United manager Chris Wilder believes his side will deserve to win promotion from the Championship if they can win three of their last four matches. The Blades chances of automatic promotion were dealt a huge blow at the weekend, as they conceded a 95th-minute equaliser in a home draw with Millwall. Meanwhile, promotion rivals Leeds United beat Sheffield Wednesday at Elland Road, to move three points ahead of the Blades with four matches remaining. However, Wilder has called for a sense of perspective on his side’s promotion ambitions and says his side will deserve to go up if they can win three of their remaining four matches. “We’re third in the division, so it’s about perspective a little bit. We were disappointed on Saturday, I understand that – manager, staff, players and supporters,” Wilder told the Sheffield Star. Sheffield United face Nottingham Forest in their next game on Friday, before travelling to Hull City on Monday. After the weekend’s result, it’s going to be tough for Sheffield United to force their way back into the automatic promotion places in the Championship and they cannot afford anymore slip-ups. However, the past week has shown how quickly things can change in the Championship and until it is mathematically impossible, the Blades should not give up on a top-two finish. It looks like the battle for automatic promotion will go right down to the final day of the season and the players have to find a way of putting the weekend’s disappointment behind them and focus on their next game.